I wrote a bit last year about the passing of my friend John. Grief journeys look different for everyone; in my case, it needed to be an actual journey, in the form of that un-taken motorcycle adventure that I’d failed to do in 2017, commemorating our epic 1997 voyage. 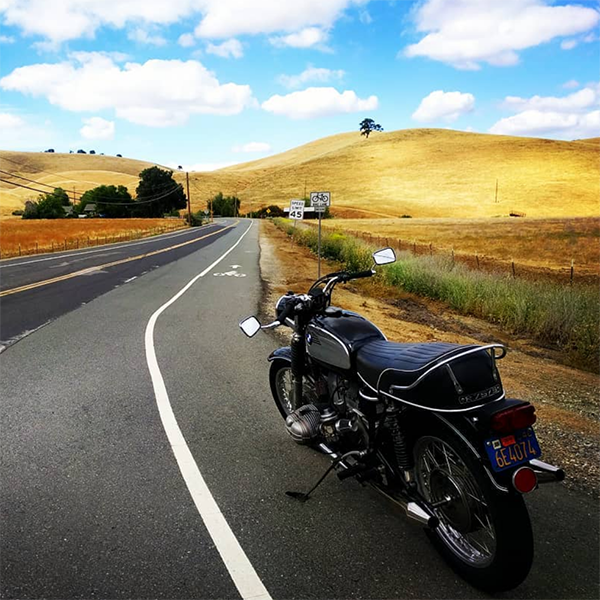 Having set aside a bit of time this summer to go on this journey, I’d originally planned to take my classic old BMW R75/5 on the road. A minor electrical fire (!!) in the headlamp assembly in June suggested to me that I risked spending more time by the side of the road than on it, were I to attempt taking a vintage bike on a long trek. 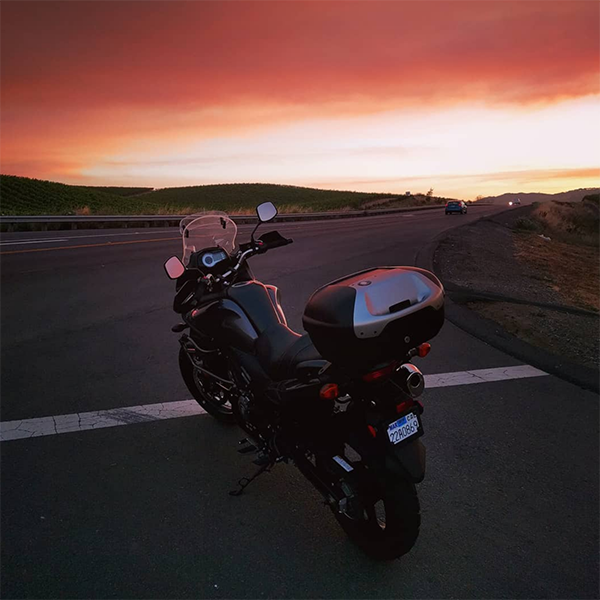 I scrambled to research and procure a more modern, road trip-worthy bike on my budget on short notice, and ended up in possession of a 2014 Suzuki V-Strom that more than did the deed. While there were plenty of moments of grand fun and delight, it was, on the whole, an incredibly tough trip, emotionally more than physically. My body can still hang with long days in the saddle, I was happy to learn, but my heart and mind don’t have quite the same steeliness I thought they once did. (Hell, maybe they never did.) There were a number of days where I felt a total loss of nerve, and a great deal of sadness and anxiety. Still, I’m proud of having taking this trip; I don’t think it’s my last. After 3 weeks, 3 states, 1 Canadian province, 2717 miles and 126 adventures, I arrived back in SF pretty drained, and glad to be done. John Donahue, I don’t know how you did things like this so often and so effortlessly, but I’m glad to have had a chance to have ridden alongside you a long time ago and somehow on this trip, too. Thanks for keeping me safe.